Aliens, Monsters, and Ghosts, Oh My! In the same way that mythologies are not confined to the ancients, creepy stories are not only told through the endless number of Paranormal Activity sequels or through shows like American Horror Story. There are plenty of strange, modern tales that travel by word of mouth and through low-tech websites created by conspiracy theorists who love colored fonts and clipart. Here are the basics on three contemporary legends you’ve probably already heard of from your superstitious uncle or imaginative childhood friend—but may not actually know much about. The government is hiding aliens at Groom Lake. More specifically, the CIA is using the air force base known as Dreamland, Homey Airport, and Area 51 to build UFOs based on alien technology that crashed there, probably in the forties or fifties. Besides sporting an unnecessary amount of nicknames, the base also contains remnants of alien spacecraft, energy weapons, and the secret to time travel—not to mention that the fake moon landing footage, which fooled a nation (and the world), was filmed in part at Groom Lake. Seems like a lot was happening in south Nevada between the forties and mid-nineties, when suspicions finally began to settle down. But that’s not all. Supposedly Area 51 was a meeting place for Majestic Twelve—the secret government organization created by President Truman in the late forties to investigate UFO sightings, spurred into creation after the crash of an alien spacecraft in Roswell, New Mexico, which incited initial interest in the existence of extraterrestrial life. MJ-12, as it was abbreviated in official documents, was mentioned in various sources until it was announced as a hoax started by an Air Force special agent. However, to this day, some Area 51 conspiracy theorists incorporate MJ-12 in their theories. UFO sightings in the area spiked as the air force base, in a shocking twist of events, began to test aircraft. The Lockheed U-2 spy plane began testing in the fifties and flew so high (about 70,000 feet) that people living nearby took it to be a flaming UFO in the night sky. This silver-winged aircraft ceased testing around 1960, when the USSR shot one down and the CIA realized it was just too costly to keep the project alive. Not long after, another spy plane called the Lockheed A-12, codename OXCART, was developed for the CIA and tested out in Area 51. Commercial pilots who flew through the area saw the already strange looking plane moving at incredible speeds (about 2,300 miles per hour) and reported sightings of it to Project Blue Book, the Air Force committee for investigating UFO sightings. They thought what they were seeing was an alien spacecraft when, in fact, it was just a very cool plane. Finally, there were some people who came out with information about Area 51 that undoubtedly fueled a considerable amount of the speculation. One of these people was Bob Lazar. Lazar, who was hailed as a whistleblower by believers and considered a nut by everyone else, claimed to have been employed at Area 51 in the late eighties. 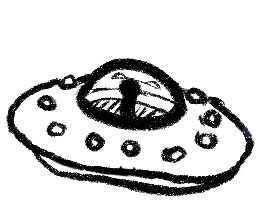 Lazar said that he worked in an underground lab where an extraterrestrial, disc-shaped spacecraft was being held—which the Air Force denies is true. Supposedly, when Lazar tried to sneak his friends in to see it, he was fired. While there does seem to be proof that Lazar worked in a different top-secret facility in the past, there are also many things about what he said which do not check out. One being that he went to MIT. Another being the entirety of his UFO claims, which he now no longer chooses to discuss. Maybe he realized that someone pulled a cruel prank on him all those years ago, telling him the ship he was working on in the lab was alien—or maybe there was no ship at all and he never even went to Groom Lake. Better yet, maybe he’s been right all along and we can only wait for the government to admit that everything he’s said is true. The legend of the chupacabra began in Puerto Rico in 1995 and expanded into the southern United States and Mexico. 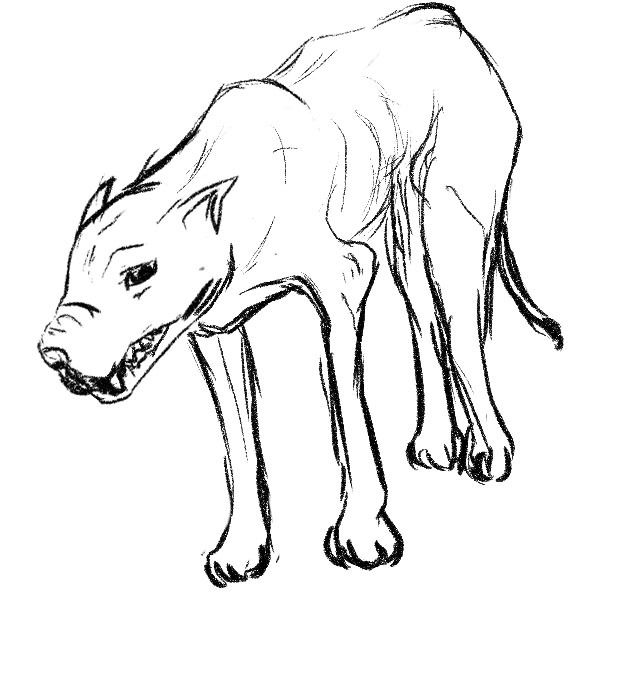 While the descriptions of the creature seem to vary from reptilian to dog-like, everyone seems to agree that the chupacabra is a vampire. In fact, the word chupacabra breaks down to literally mean “goat sucker” and was the name given to the mysterious culprit of livestock and pet killings by a comedian named Silverio Pérez. While he supposedly used the term to refer to the idea of creatures that sucked the blood out of other animals, primarily goats, it soon came to refer to a single mythical creature of dubious appearance. In the United States, the image of the chupacabra became that of a hairless dog, mixed with a kangaroo. All over the southwest United States came claims of the chupacabra sucking the blood out of livestock, dead chupacabras lying on the side of the road, and suspicious animals lurking in the darkness. In 2006, the chupacabra spread to Russia, where Vadim Chernobrov, a paranormal researcher, claimed the creatures lived near the Ukraine-Russia border and were kangaroo-like in appearance, stacking their prey into patterns based on color and leaving no footprints behind. In the past seven years, the chupacabra has reportedly been found in the Philippines and various states within the U.S., from Texas to Kentucky, Mississippi, and Missouri. The appearance of the creature seems more consistent now—dog-like, hairless, eerie—and the victims are the same: animals drained of blood and left dead. People, in general, don’t seem to know much about existing animal species. Most of the supposed chupacabra stories are explained away by animal experts who can identify the mysterious corpses of dead chupacabras to be nothing more than the deformed carcasses of coyotes or dogs. After birds pick at a dead animal long enough, it will start to look like anything the imagination can come up with. Live chupacabras have been identified on more than one occasion to be coyotes or dogs with physical defects or mange, a disease that can leave them furless. In terms of the blood-sucking nature of the chupacabra, zoologists such as Dr. Karl Shuker have explained that most of the supposed draining of blood included no signs of significantly drained blood at all. If an animal has a torn wound, it will bleed, and that’s what happened to most of the “chupacabra victims.” While they may appear to be bloodless in death, the dead animals’ autopsies showed that their blood loss was not unusual given the puncture wounds of teeth. Although the legend is still growing across the globe today, the chupacabra as an actual animal seems to be nothing more than creative fiction, spurned on by people who can’t recognize a sick coyote from a normal one or tell the difference between a dead animal without its blood drained and a dead animal with its blood drained. Plus, Chernobrov, the Russian researcher who studied chupacabra attacks around Moscow and perpetuated the idea of their existence, also claimed, in 2011, to have built a time machine. Various niche news sites such as BeforeitsNews.com and MysteriousUniverse.org have reported on Chernobrov’s claims, but, as the world has yet to meet the man’s future self, it can only be assumed that his word is not 100% reliable. Face a mirror at midnight with only a candle and spin around three times, whispering “Bloody Mary, Bloody Mary, Bloody Mary” as you do so. If you’ve done everything right, a cockroach will appear by your feet, or a dead baby, or the angry spirit of Bloody Mary herself—depending on who told you the story. This slightly more terrifying version of the “game” known as Bloody Mary, used to scare kids at sleepovers today more than anything, originated in the early 20th century as a ritual meant to let young women see into their future. According to the original version of the game, if a girl walked backwards up the stairs with a candle in her hand, then gazed into a mirror, she might catch a glimpse of her future husband’s face. If not her husband, she might see a skull, which would signify her death before marriage. Nowadays the game doesn’t so much offer a glimpse into the future as it does test the bravery of children. Some tales claim that Bloody Mary will simply appear, often with a baby or covered in blood, while others say that she may attack the person who summoned her, clawing out their eyes or leaving them dead and covered in bloody handprints. Either way, the game ends in terror—if you complete it successfully and she does appear. Nothing stirs the imagination like the dark. There have even been claims that those who believe they saw Bloody Mary after playing her game are victims of self-hypnosis, Troxler’s effect, or simply a desire to impress their friends with a big fat lie. Essentially, Troxler’s effect suggests that staring at a mirror in a dark room may cause hallucinations based on optical illusions, where your eyes are tricked into seeing a sort of ghosting image effect, produced by a faint light source and movement and causing things to both appear and disappear from vision. In his paper, “Strange-Face-in-the-Mirror Illusion,” Italian psychologist Giovanni Caputo suggests that seeing faces where faces should not be may also be due to the misfiring of the brain’s system of face recognition. The brain is constantly searching for faces and can create an illusion of one based on shadows and light if tricked, for a moment, in something like a poorly lit bathroom mirror. 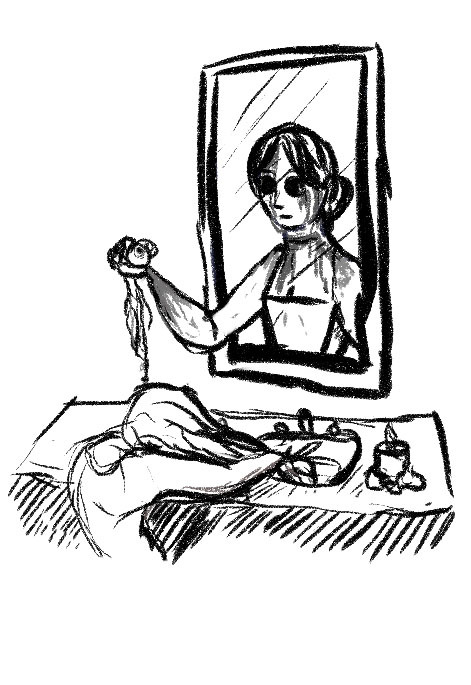 Basically, seeing Bloody Mary for a split second in the mirror is much like Facebook being convinced that there is a face hidden in someone’s knee—the system is misfiring. The character of Bloody Mary herself is almost certainly based on Queen Mary I, who is also known as “Bloody Mary,” although not for popping up in people’s mirrors at night. The idea of the baby appearing can be traced back to Queen Mary I’s many miscarriages, which, if anything, only adds to the disturbing nature of the game. No matter how much more we learn about the world or how advanced science and technology become, it seems that people will still choose to believe in the supernatural to explain surprisingly natural occurrences. Even as we advance as a species, our culture continues to support a faith in fictional tales, sometimes over cold hard fact. Of course, just because there are logical explanations to counter strange phenomenon doesn’t mean you have to give up on legends completely. After all, stories like these are more than just coping mechanisms that exist to explain the unexplainable—they’re a part of culture and tradition, representing the quirks of one society to another. Embracing them should be about embracing the imagination and an open curious mind, as long as you remember not to take them too seriously.